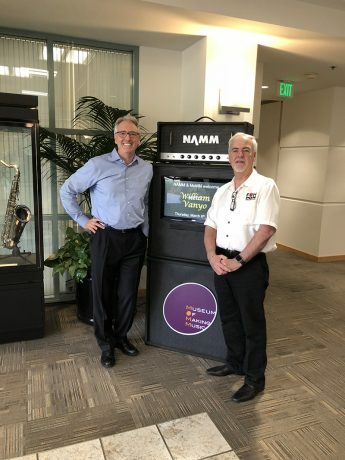 When the partnership was announced last year, I sat down with NAMM president/CEO Joe Lamond and Timeless Communication’s (PLSN, FOH, Parnelli Awards) Terry Lowe to discuss the deal, the hopes, and the expectations. It seemed only fitting to sit down with them again a year later to review what happened and look forward to the future, especially as they signed a three-year agreement extending the partnership. JL: On Thursday morning, entry to the campus was a bit frustrating given the new security measures and the massive influx of attendees but we reacted swiftly. Thursday afternoon, we met with our teams and made the decision to double the amount of metal detectors and bring in and train additional staff. This made for much shorter lines and a smooth Friday morning opening. It’s all stuff we learn on the road, isn’t it? If something isn’t right, you make it right! TL: Years ago, we had our own pro event show, and a highlight of that was our ability to offer unique learning experiences. When we were in Las Vegas, we couldn’t really do that. 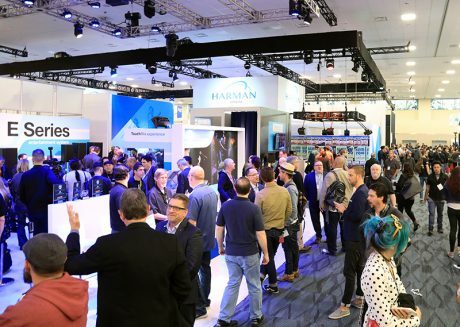 This year, our team came up with 10 great panel discussions and seminars on important topics led by the absolute greatest award-winning live event professionals. It was an unqualified success, and we look to build on that, creating more learning opportunities by expanding on the seminars. Key to all this is how we can connect those who come to the Parnellis with those contributing to the educational sessions. 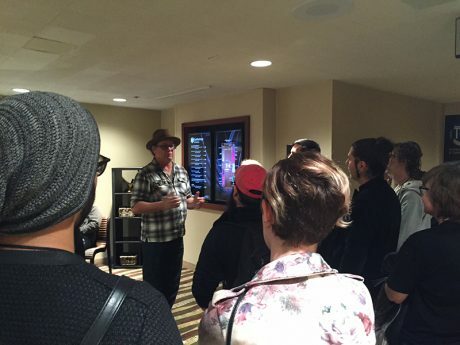 We can harness a speaker base of experts and leaders in the industry technology field. A bonus is the networking opportunities available to all who participate in any of it.